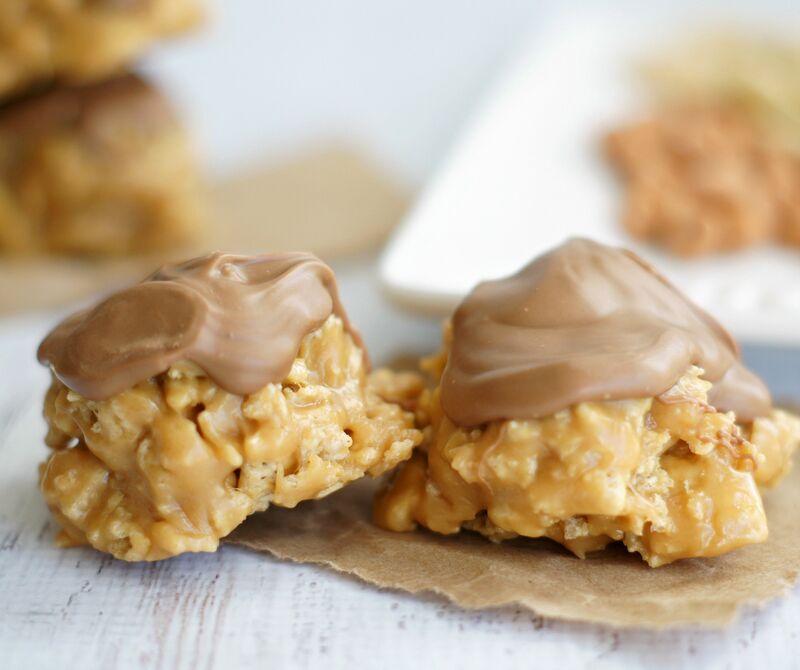 Scotcheroos are hands down one of the best no-bake treats ever! I’ve loved these for as long as I can remember and I’m sure you will too (if you don’t already)! These are definitely addicting! 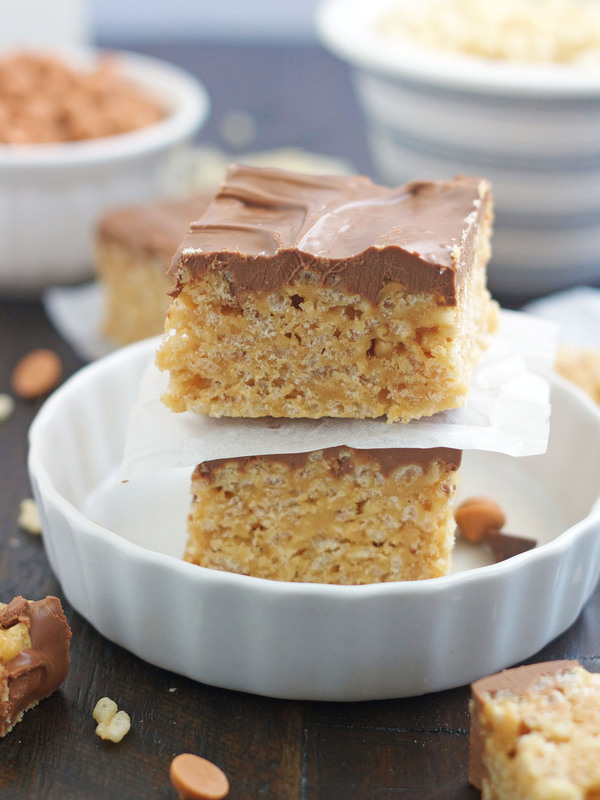 Scotcheroos have been around forever and most of you probably have made them at least once in your lifetime. They are one of my most favorite treats from my childhood and still are. 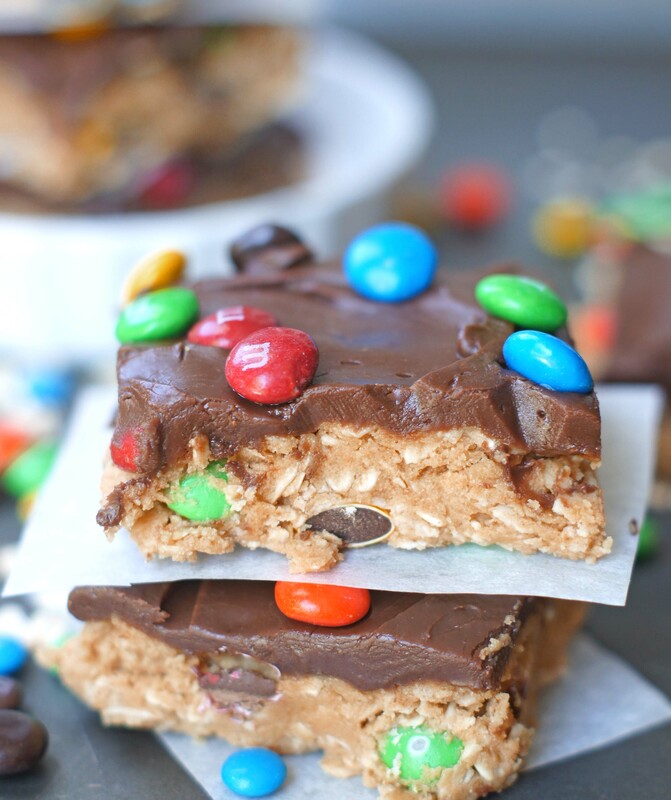 My friend’s mom would always put a single peanut M&M on top of them and I always loved when Kristie shared her scotcheroos with us. 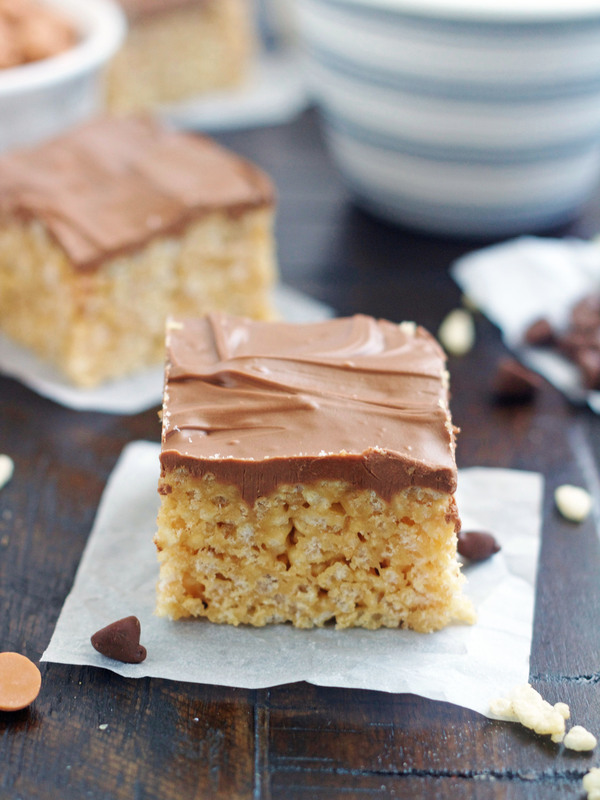 We can devour a pan of these in literally minutes because we all absolutely love them. 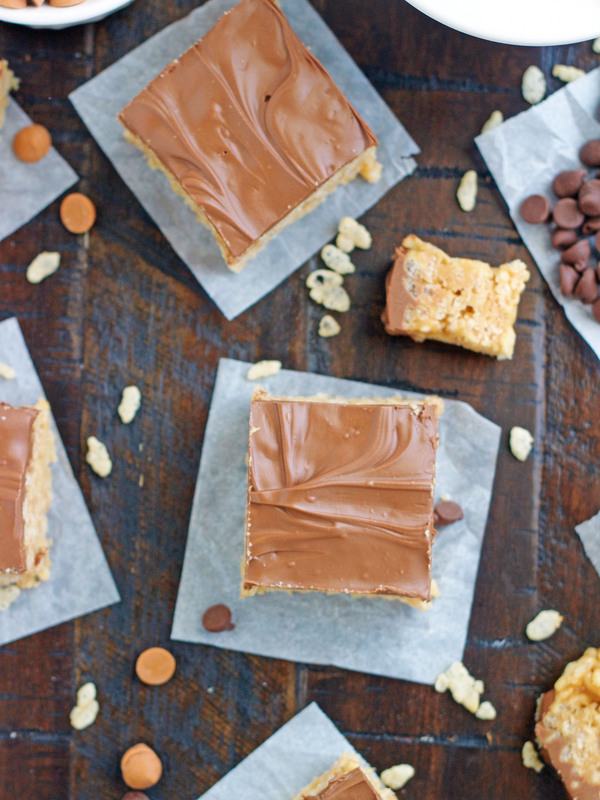 What’s not to love about peanut butter Rice Krispie bars topped with melted milk chocolate and butterscotch chips? 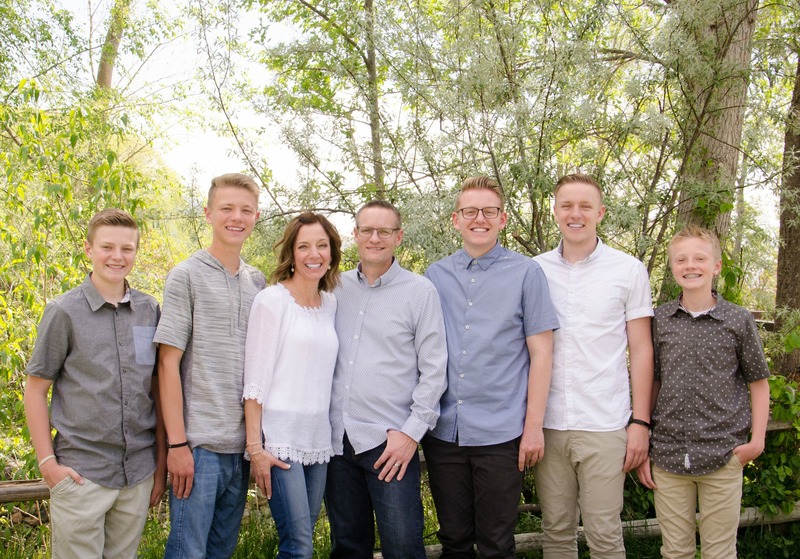 Parker would eat them for breakfast, lunch and dinner if I’d let him. 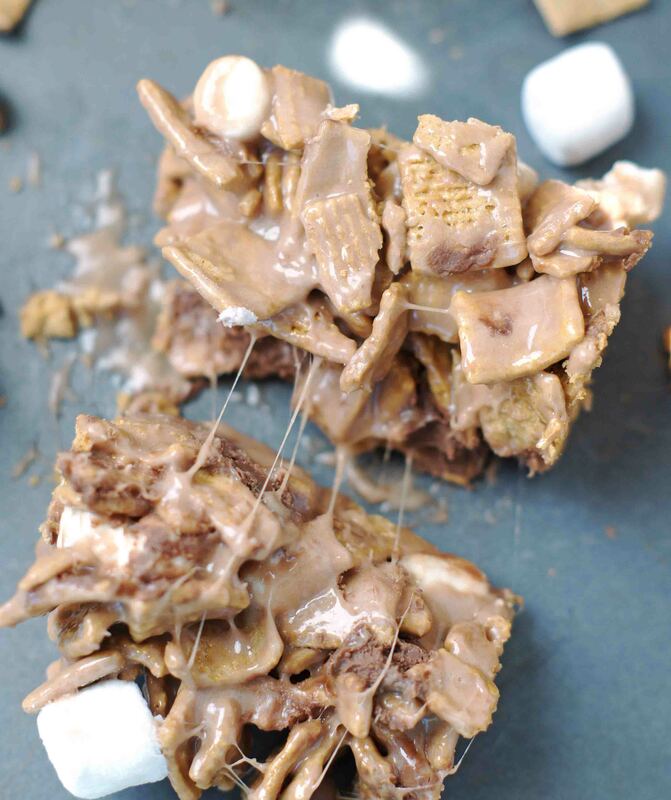 Even though the recipe is pretty much the same anywhere you find it floating around the web, not all scotcheroos are created equal. I have, on many occasions, eaten scotcheroos that were hard as a rock and/or just all around not good. The recipes may all be the same, but there is definitely a wrong and a right way to make these beauties and sadly some people just haven’t figured that out. So today I decided it was time to share my little tricks of the trade when it comes to making these. Make sure you don’t over cook the sugar and Karo Syrup mixture. Just bring it to a low boil and remove immediately from heat. You just want to see small bubbles starting on the edge of the pan. If you cook too long, your scotcheroos will be hard instead of soft and gooey. THIS IS PROBABLY THE MOST IMPORTANT TIP! I always make these in a large pot and then pour the Rice Krispies into the pot and stir them in. This way I only dirty one pan. If you don’t have a pot big enough to mix in the 6 cups of Rice Krispies, you can pour them into a large bowl first and then pour the peanut butter mixture over the cereal and stir. Don’t overfill your measuring cup when measuring the Rice Krispies. You want to keep these bars on the “gooey” side so just don’t measure “heaping cups” of the cereal. Some recipes call for just 1 cup each of the chips and others call for a full bag of each. I have found that 1 cup of each is not enough and the full bag of each is just a little too much. I think using 1 1/2 cups of each of the chips is the perfect amount. Most recipes call for semi sweet chocolate chips, but I prefer milk chocolate chips and so do all my boys. Lightly butter a 9x13-inch pan. In a large saucepan over medium heat, combine the sugar and corn syrup. Heat until mixture barely begins to boil and remove from heat immediately and stir in peanut butter until smooth. Pour in the Rice Krispies and mix until well combined. Place the chocolate chips and butterscotch chips in a microwave safe bowl. Microwave for about 2 minutes at 50% power, stirring every 30 seconds, until the chips are melted and smooth. Most requested treat at our house! Thanks for the ‘tips”!